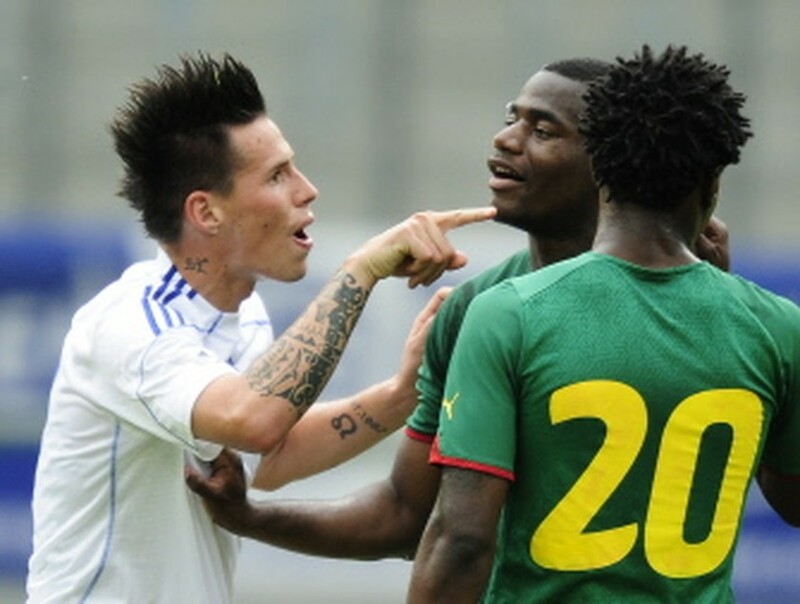 KLAGENFURT, Austria, May 29, 2010 (AFP) - African giants Cameroon's unimpressive World Cup build-up continued on Saturday as they came from behind to draw 1-1 with finals debutants Slovakia in a friendly here. Enoh Eyong's goal seven minutes from time saw the 'Indomitable Lions' escape with a draw after the Slovakians, who in a previous entity as Czechoslovakia reached the last eight in 1990 losing to eventual winners West Germany, had taken the lead through Kamil Kopunek in the sixth minute. Kopunek scored with a great strike from 18 metres out after being set up by Chelsea midfielder Miroslav Stoch, giving no chance to Cameroon goalkeeper Hamidou Souleymanou. The Slovaks dominated the first-half against a Cameroon side still without their superstar striker Samuel Eto'o, who has been given time off since winning last Saturday's Champions League title, and their defence whenever threatened held firm, superbly marshalled by Liverpool defender Martin Skrtel. The European side - who are in Group F at the finals in South Africa with defending champions Italy, New Zealand and Paraguay - could even have taken a 2-0 lead but Stanislav Sestak's shot rattled back off the crossbar. Cameroon - who are in Group E for the June 11-July 11 tournament along with Denmark, Japan and the Netherlands - came back into the match after that and finally were rewarded when Ajax midfielder Eyong struck. Cameroon will be hoping that Eto'o doesn't opt to boycott the finals after he had warned on Friday he might not bother going after coming under heavy criticism from Roger Milla, their star from the 1990 edition when they only missed out on the semi-finals in a penalty shootout defeat by England. This draw comes on the back of a 0-0 draw with non-qualifiers Georgia earlier in the week and they will be looking for a vastly-improved performance in their June 1 friendly with 2006 World Cup semi-finalists and fellow finalists Portugal in Covilha, Portugal. They have a final friendly after that against fellow qualifiers Serbia on June 5 in Belgrade.